Arak is made from Obeidi/Merwah grapes. Patiently waiting for the grapes to mature, they are harvested during certain months (September & October). After the process of fermentation, the juice turns into wine. Arak in its purest form is a colorless and clear liquid. Aniseed is added to help distill the alcohol as mentioned above. Depending on the quality of the arak will determine the ration of aniseed to alcohol. On average, however, it is between 30%-60%. When is Arak Served & Served With? Usually, arak is served in social settings and huge gatherings such as dinner parties, restaurants and of course Mejana! 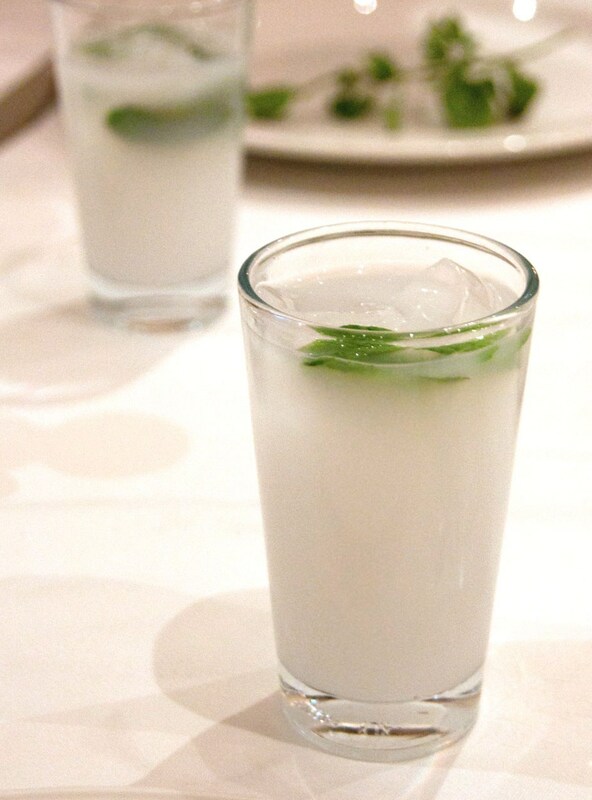 As far as tradition is concerned, arak is served with mezze which is appetizers. It is the perfect match for the smaller meals. The first rule is to NEVER add the ice before the water or arak. It will only produce an unpleasant film on top of the drink. So we recommend to pour the water first, then the arak which will cause the liquid to turn into a milky color. So what are you waiting for? Reserve your table here!